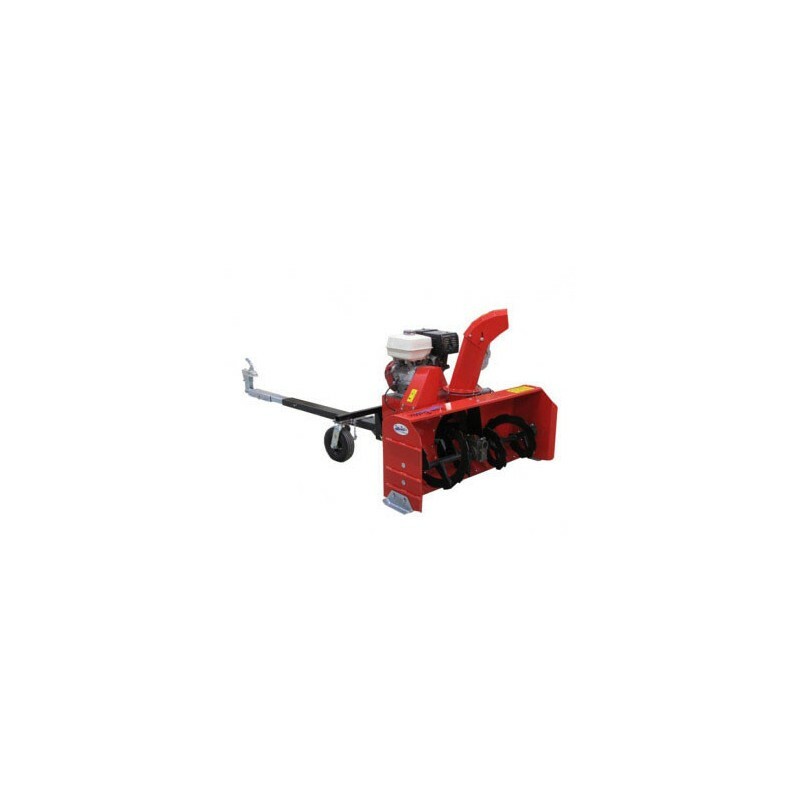 Iron Baltic ATV snow blower is an effective tool clearing the snow, it is easy to clear off the snow meters away from the cleaned area - unlike working with the snowplow. It suits ideally to clear the roads, sideways, driveways and the squares and road crossings. Fast installation and very easy to use! Features Snow ejection / direction tube is electrically adjustable via control panel. Working speed: up to 5 km/h. Snow ejection lenght: ca 15 m. Universal telescopic adjustable, strong squaretube push frame allows installation with most 4x4 ATV machines. Push frame is fixed to the rear hitch ball and with the adjustable chains to the ATV front arms. Installation takes 5-10 minutes. 360 degrees rotating wheel carriers with 4ΓÇ¥ wheels to carry the weight of the snowblower. ATV is used only to push the machine. Control panel for ejection tube movment with the stop button to shut off the blower engine. Working position and transportation positiona (set with ATV winch). Easy to use belt tensioner, fast removal and installation of the clutch belt if needed. Protective shaft bolts against excess load in rotor shaft movment.